Love all the spices that go into this. Must be really flavoursome!! Thanks. Definately has lots of flavor! My hometown food! Miss it! 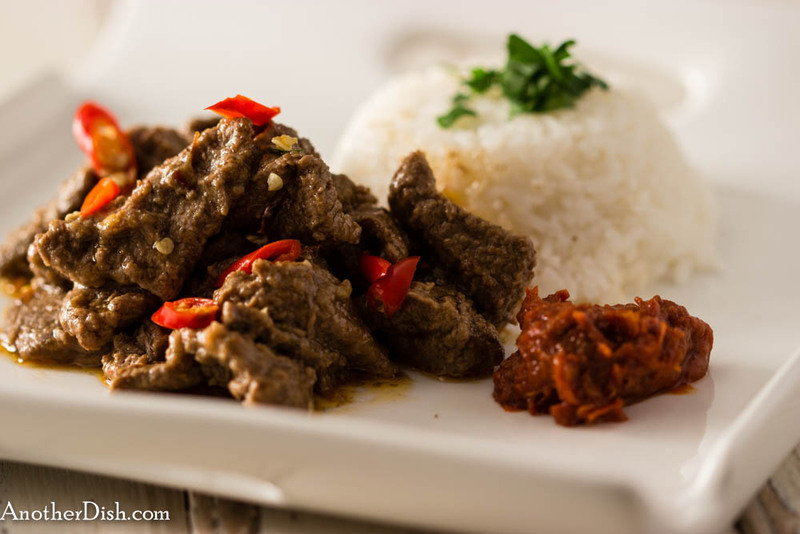 Indonesian is one of my favorite cuisines — glad to see you miss it! This sounds wonderful. There are some very interesting ingredients. I’d love to try this for sure. Thanks! Please let me know what you think, if you try it. Oh this looks so good. I’ve never heard of candlenuts! Live and learn! Yes, candlenuts are pretty important in Indonesian cooking. Thanks for the comment! One does not get to eat this unless he is invited to an ethnic style selamatan/ kenduri feast!